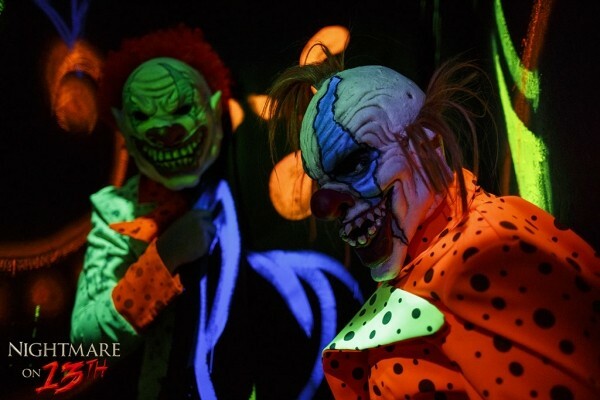 Halloween in Utah has become a celebration of scariness that stretches beyond the month of October, and plenty of local haunted attractions pop up to add to the atmosphere. City Weekly contributors visited just a few of them to provide a firsthand account of what to expect. Nightmare on 13th is the haunt for visual connoisseurs—its big-budget, high-tech digital and animatronic effects capture the imaginations of even the youngest, most digitally jaded customers—but many of the spookhouse’s best features draw on expert use of traditional, old-fashioned smoke-and-mirror lighting effects. The spinning tunnel—with its exit seemingly floating in midair—is simply mind-blowing, and the yawning chasm was so realistic it could serve as effective terror therapy for acrophobics. The haunt is divided into three acts: NetherBeast, Cirque du Fear and Zombie Apocalypse. While each has its merits, it’s Zombie Apocalypse that features the best-developed narrative. In a world where a zombie virus has infected most of the population, you find yourself dodging not just the undead, but also uninfected military personnel and other terrified still-humans. Matt Bray is fantastic as a rifle-toting redneck protecting his turf, urging you to “move along,” and Kevin Mackey is brilliant as the chainsaw-wielding zombie. Other haunts may offer high-tech, gee-whiz visuals, but Castle of Chaos is unique—and controversial—in offering the “hands-on horror” experience to its patrons. At the get-go, audience members are asked to choose from a menu including “no-touch,” “hands-on” and “X-Scream hands-on” levels of Hands on Horror. The X-Scream hands-on option means actors may not only grab you, but pick you up, manhandle you and actually separate you from your group. It becomes a truly grim, disorienting and ultimately fantastic experience. Perhaps no other haunt offers such a risky prospect, but rest assured the actors are well-trained—they know how to scare you, but you’ll never be in danger. All the human (and inhuman) contact makes for a truly personalized encounter—an emotional, chemical connection with the actors that’s truly unforgettable. If you visit only one spookhouse this Halloween season, this should be it. While most haunted houses run the gamut of having every creepy/thrilling/terrifying scenario jammed together, XSI Factory at Thanksgiving Point takes a different route. By settling on a single theme of the zombie apocalypse, XSI Factory has turned its (surprisingly large) basketball courts into a pretty great attraction. There are still riffs on popular horror movies and themes, but zombies are the prominent feature in each of the vignettes throughout. There’s a dedicated staff, with people lurking around every possible corner and lots of trick picture frames and fake walls that make for perfect—and frighteningly loud—spots for them to jump out. One of the most promising new haunts in Utah got off to a rocky start in 2011, but this year, Fear Factory is in full swing. With a naturally creepy location—a retooled abandoned cement factory with its own true history of accidental death—Fear Factory takes up an entire city block, making it one of the longest and most well-planned attractions around. Every possible space is utilized, and the staging is an impressive feat. With so much ground to cover, there was no way to center on an individual theme, so Fear Factory has a little bit of everything. Making sure that visitors never get too comfortable, the path moves from inside to outside and back again. It also takes advantage of a huge basement and high-rising sections throughout. The set pieces are all greatly detailed, and a lot of thought was put into each. The one drawback: Fear Factory seems a bit understaffed, with long sections of the maze where no one was around.